You’ve decided you want to host a Christmas party this year – great! Have you thought about a theme for the party? 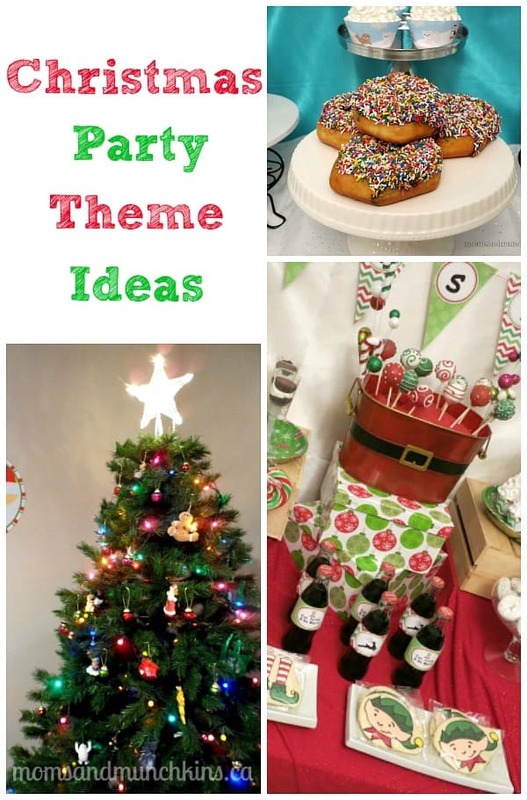 Every party doesn’t have to be themed but there are so many fun Christmas party themes to choose from! Selecting a theme for your party helps to set the tone of the event. Will it be a formal event giving guests an opportunity to use those beautiful holiday dresses that they want to get more use out of? Will it be a silly event giving guests the opportunity to let out their inner-child and be totally childish for an evening? Will it be a really casual event without a set start and end time that guests can pop into anytime throughout the evening? There are plenty of fun themes to choose from and I’ll explain many of them here. Ugly Sweater: There are so many fun ways to get creative with this theme! Basically, guests are invited to attend the party in the worst Christmas sweater they can find. What happens if you can’t find a really terrible looking sweater to wear? Easy – just decorate any old sweater with a few Christmas decorations. The goal here is to make it as tacky as possible. Throw in a few prizes and a mini fashion show and you’ll have the party guests in stitches! You’ll want to set a small dollar value so that people know it’s just a small exchange and no one is expected to spend a large amount on a gift. These parties are also often called White Elephant parties or Stealing Santa parties. Some people also do a “regifting” theme where you bring something that someone bought you in the past that you haven’t used. This one can be tricky though because you don’t want to bring something to regift that one of the other attendees bought you last year! Ask each guest to bring an ornament to decorate your tree. You can hand out prizes for most original, most tacky, the funniest, etc. At the end of the party, each guest can select one ornament to take home with them to hang on their own tree at home. You can then decorate your own tree with your own decorations after. Simply set out all of your ornaments and invite guests over to help you decorate your tree. For the crafty types, you could even have a few craft stations set up where people could make ornaments for your tree or to take home for their own tree. Christmas Competitions: This party type is for guests that love to play games. You can play games like charades, scavenger hunts, obstacle courses, building competitions, etc. – anything with a Christmas theme. Moms & Munchkins has quite a few free printable games, check out our Christmas Fun page! Craft Party: Unless you have some male friends into crafts, this party is probably a better fit for the ladies. Choose a Christmas-themed craft before the party and invite guests over to work on crafts while sharing holidays goodies and great conversation. At the end of the party, everyone will have a craft to take home. Baking Exchange: For this party, all guests are invited to make a few dozen of their favorite treat and then bring them to the bake exchange party. Each guest will arrive with a large container that they can fill with a variety of treats to take home. Then each person will have a large variety of Christmas baking for the holidays without having to spend a lot of time in the kitchen! Holiday Card Making: There aren’t many of us that like to sit down alone and address Christmas cards for hours so a fun idea would be to invite your best girlfriends over (each bring their own blank cards and address books) to work on your Christmas cards together while enjoying holiday goodies. You could even set out a “Santa Sack” for people to put their finished & stamped cards into and one person could be responsible for dropping the cards at the post office the next day. Potluck: Want a delicious variety of food for your party without spending days in the kitchen? Invite each guest to bring along a prepared recipe to share with the group. It’s a great way to find some new recipes that you may want to make at home. Donations: Rather than a typical gift exchange, ask guests to bring along a donation to a charity like the food bank, gifts for children who wouldn’t otherwise have gifts, etc. Christmas is the season of giving! Open House: An Open House party is probably the most casual of all Christmas party themes. There are no real activities planned and guests are invited to come and go as they please within a certain time frame of the evening. Simply set out appetizers and treats and let people help themselves with visiting with the other guests. To help with your holiday party planning, we also have a free printable Christmas Party Planning Checklist. For more holiday ideas, visit our special Christmas Fun page. 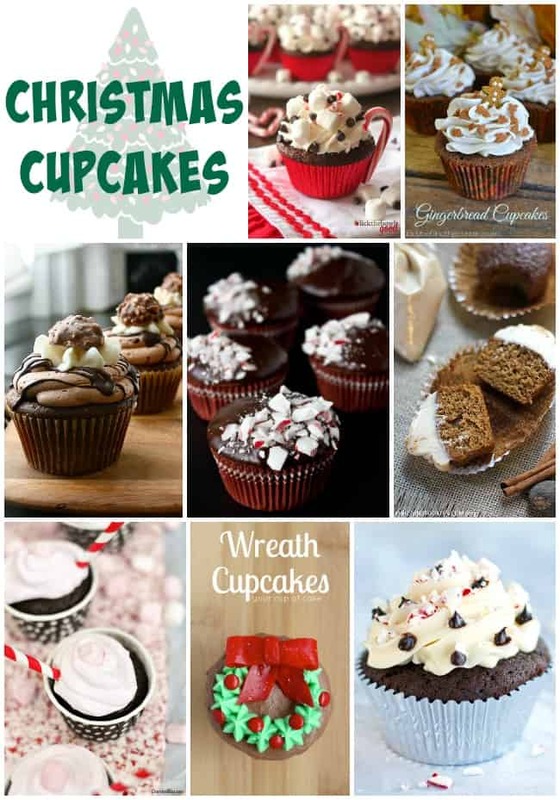 Don’t miss this collection of delicious Christmas cupcakes – a party isn’t complete without cupcakes! We’re always adding new ideas so be sure to follow along on Facebook, Twitter, Pinterest and Bloglovin’.